BE A PART OF THE RECONSTRUCTION OF MEXICO! 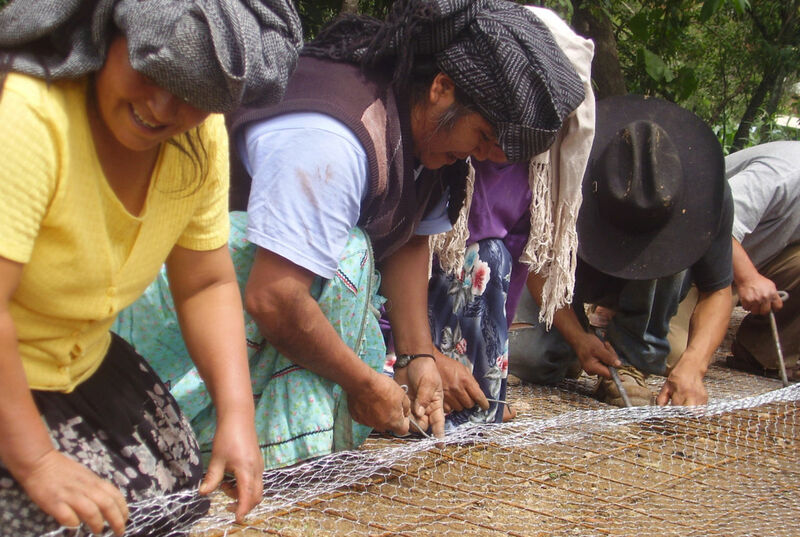 DONATE TO THE “WOMEN REBUILDING THEIR COMMUNITIES” FUND AND SUPPORT LONG-TERM RECOVERY IN THE STATES AFFECTED BY THE EARTHQUAKES: OAXACA, CHIAPAS, PUEBLA, MORELOS, STATE OF MEXICO, AND MEXICO CITY. THE STRENGTH AND VISION OF WOMEN ARE KEY TO MEXICO'S RECOVERY AND REQUIRE YOUR SUPPORT AND SOLIDARITY. 1. PayPal, by clicking on the button below. 2. Our partnership with the Global Fund for Women. Please request that the bank include your name as a reference, and send your receipt to Karina De la Torre, [email protected]. WHY DONATE TO THE “WOMEN REBUILDING THEIR COMMUNITIES” FUND? Because the significant inclusion of women in the post-disaster recovery process is fundamental to ensuring the sustainability and success of those actions. Because it is an initiative that focuses on directly supporting community organizations, recognizing that local communities are the ones who should lead recovery strategies based on the needs and priorities that they identify for themselves. Because it is an initiative that, as with all of the work of Fondo Semillas, seeks to support the community leadership of women, and at the same time takes into account the specific ways that natural disasters disproportionately affect women. Because it seeks to strengthen community resilience and citizen participation to trigger processes of local development. Because Fondo Semillas is an organization with proven credibility and more than 25 years of experience working for development and gender equality, and will inform you in a transparent and timely manner about how your donation has been used and the achievements your contribution has made possible. Because Fondo Semillas will assure that the selected groups have the specialized technical support necessary for medium-term and long-term recovery. Because Fondo Semillas will convene a selection committee with experts on natural disasters and gender to guarantee that the allocation of resources is efficient and strategic. In times of crisis, women respond with decisiveness and put forward solutions that benefit their communities as a whole. Join in the recovery of affected communities! Mexican Society for Women's Rights, A.C.